If you like the look of the Lex 3 Level shelf, you’ll love the look of this Lex 5 Level Shelf. 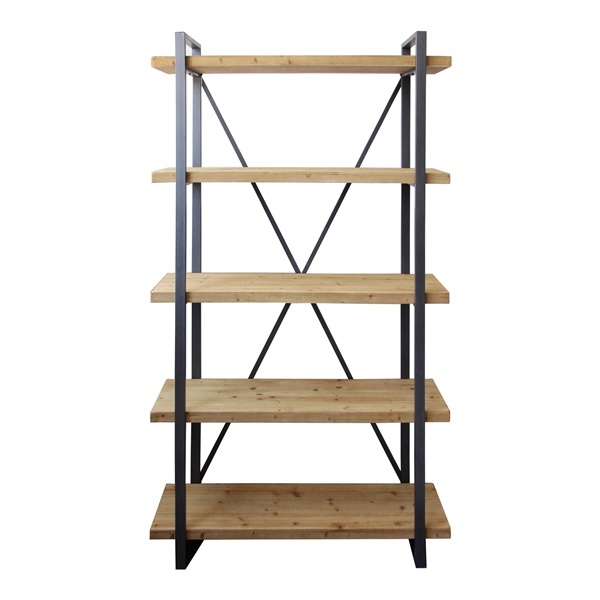 With the same rugged, industrial style as the shorter one and made from solid fir and iron, this shelf is perfect for business or home. It can be easily assembled and it can work together with the other pieces in the Lex collection or on its own. Rugged yet refined style with industrial edge. Sturdy craftsmanship of iron and solid fir. Ideal for home, workshop, studio, and more. Coordinates with other Lex pieces by Moe's Home Collection.